One of the most common issues found is a lease that has not been written thoroughly. Or there is no lease written at all. Sometimes, a landlord and tenant will verbally come to an agreement, which is very difficult to enforce. A well-written lease, approved by an attorney, is your best bet to keep yourself protected if any legal issues come up or if you need to evict your tenant. Another common area where landlords get into hot water by having no tenant screening process or one that is not thorough. You should take care in the screening process to make sure that your tenant will be responsible: paying rent on time, putting in maintenance requests immediately and fulfilling the terms of the lease. The most common ways landlords ensures this is using a criminal check, credit check and landlord references. You never know what may come up as a landlord. And you don't want to be in financial trouble if there was a maintenance emergency at your rental property. You should always have some money set aside in case you have to come out of pocket for a repair. You don't want to have to take out a personal loan or sell your car just to make sure your investment property is livable. Planning ahead can make all the difference. When you become a landlord, you also become an investor. Successful landlords view their property as a financial asset, meaning that they spend money to keep it updated, maintained and move-in ready. Many new landlords think about their rental as a home they used to have. This can lead them to let their emotions get in the way of making decisions about rental price, who to rent to, and what to do about maintenance. Determining a rent price is a crucial part of advertising your property. You'll need to make sure that you do plenty of research about what your competition is charging for rent. Most landlords that don't do this either think about what they want to get for rent or what their friends and family tell them it's worth. Having too high of a rent price can drive tenants away, raising your vacancy rate and costing you money. Inspections are an important time to make sure your tenants have taken good care of your property. You'll want to do them, at minimum, when a tenant moves out. This can help you determine what damage the tenant has done. Many landlords that don't do inspections at all, don't spend enough time on inspections, or don't take detailed notes put themselves at risk of spending lots of their own money to make repairs. If you are not taking money out of the tenant's security deposit to make repairs for damages they caused, you will have to pay for them yourself. When you are renting out your property, you want to let your tenants know that you are reasonable and will work with them if they are in financial trouble or want to make changes to the lease. If you start bending over backwards for your tenants just to make them happy, you are probably wasting a lot of time and not making money. You need to have a strict lease and rental standards to make your tenants understand what is expected of them. That doesn't mean that you don't give them a break when they are in financial trouble or help them out when they need it. It's important to make sure your tenants are happy, but if you are spending too much time being friends with your tenants and not making money off your rental, you'll want to reconsider being so lenient. An easy way to solve all of these problems is to let someone else handle them. When you hire a property manager, they are in charge of making sure the lease is correctly written and that your tenants are paying rent. 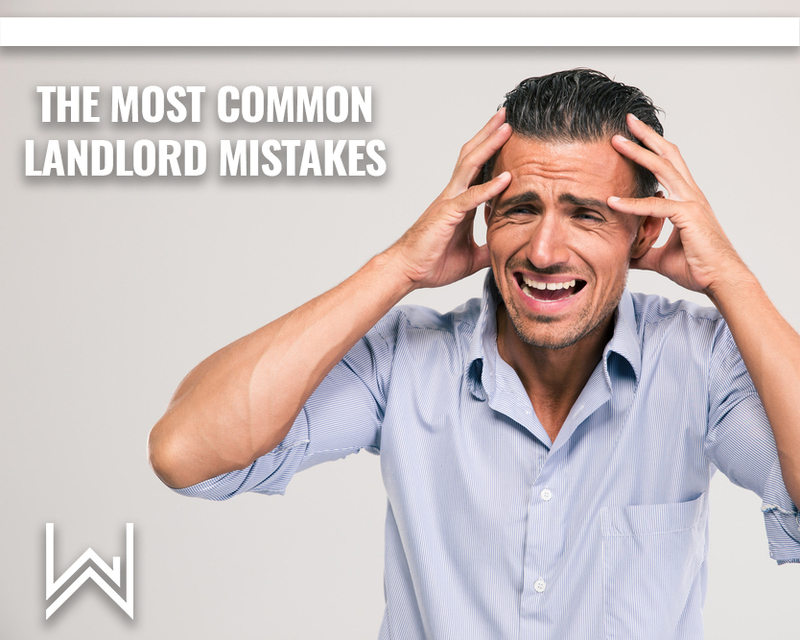 Trying to do it all yourself gets to be too much work and causes many landlords to make these mistakes. We have also created a kit full of great resources to help landlords (both independent and those that have hired a property manager) improve their skills.